We're a European Style Flower Market! We're a local Abbotsford, British Columbia florist delivering courteous, professional service and the highest quality flowers in Abbotsford. We pride ourselves in an unique inviting shop. Our experienced designers can create floral arrangements that will complement any occasion and meet your budget and style expectations as well. We also offer daily delivery to all local funeral homes and hospitals. Call or visit us today… we look forward to meeting you! Thank you for visiting our website for flowers delivered fresh from Bucket's Fresh Flower Market, your local ABBOTSFORD, BC flower shop. When it's time to shop for a gift for any occasion... Call or stop by our shop in Abbotsford. 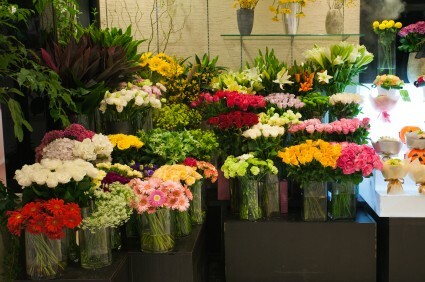 We have the largest selection of flowers from around the world. 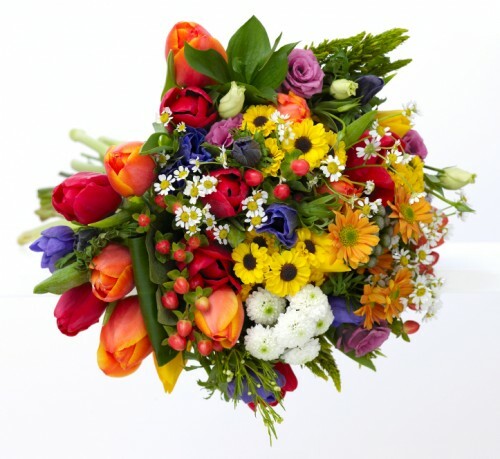 A true European style flower market, catering to those who want freshness, quality designs, European handties, big and bold arrangements for great prices. When it’s time to plan a wedding, party or event... Our beautiful selection of high-quality flowers and eye-catching design styles are sure to bring rave reviews on your wedding day or at any festive occasion - large or small, formal or casual. Call our shop in advance at 604-870-2994 to schedule your consultation. When it's time to send funeral flowers... You can always depend on our courteous and reliable staff to help you during this difficult time. We will design and deliver flowers that beautifully convey your expressions of sympathy and serve as a lovely tribute to the deceased. LIKE us on Facebook. Stay updated on our daily and weekly specials. We're Social! Check us out below.